Fall is creeping in. Right now, it's the cool mornings, and the light breeze, but soon it will be changing leaves, long sleeves, and cold hands. 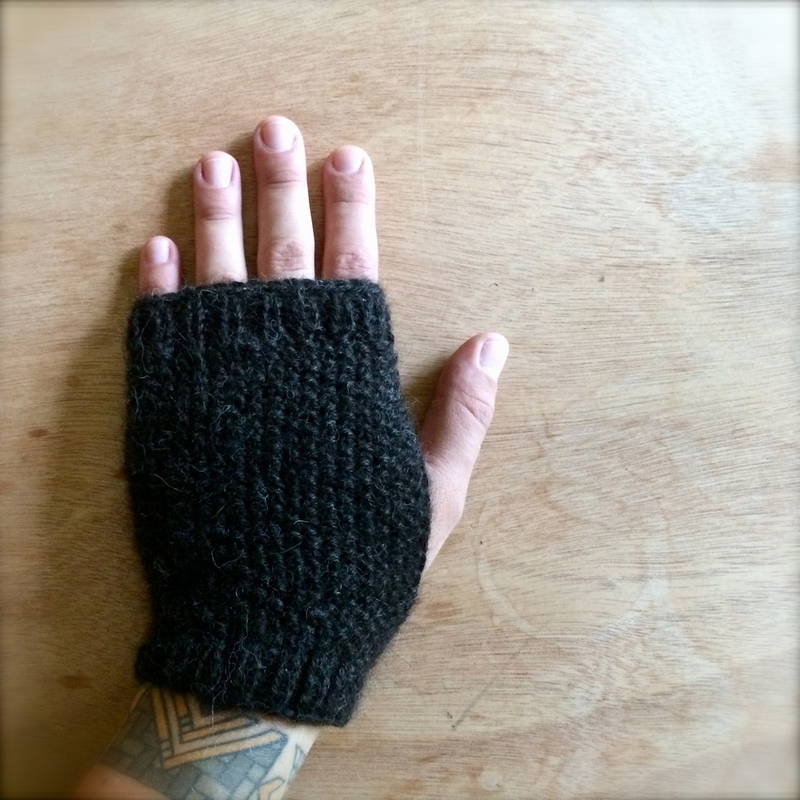 I've been knitting fingerless glove after fingerless glove, changing the pattern a little here and a little there to come up with the perfect pair all warm and soft and stylish. Prototype #2 of this series, which I'm calling Where the Animal Runs, is above. This was the second of many iterations, but I'm working on what I hope to be the final design. Picture that above, with a longer cuff, and a little leather, for good measure, and you've got what I hope you'll agree is the perfect fingerless glove--long enough to keep the wrist warm where the cuff of your sleeve stops, but not so long to get bunched up; fingers free, but not completely, and a little leather on the palm, to keep your driving strong. Final design to be posted soon.